The Multi-Genre Music Compilation Created By Baron Davis’ Black Santa Company, Aims To Create The New Walt Disney Records, Entertainment, And Mass Media. Founded by former NBA All-Star Baron Davis, The Black Santa Company aims to create positive, uplifting, and enchanting content for all ages, celebrating cultural diversity, the joy of giving, and the magic of good to help build a brighter, more colorful world. 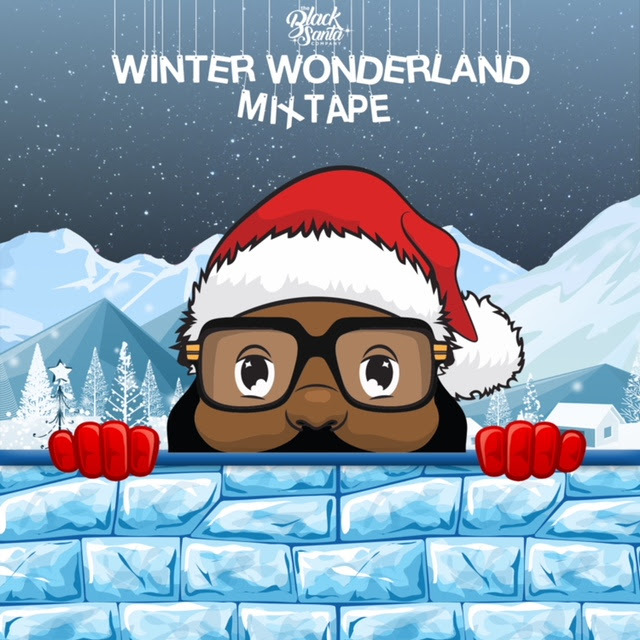 Today, just in time for the holidays, The Black Santa Company announces the first Winter Wonderland Mixtape. Created in collaboration with multiple acclaimed and award-winning writers and producers, the Winter Wonderland Mixtape breathes fresh air into the spirit of the season, creating character-based songs with fresh, modern sonics, geared towards a more inclusive audience. The compilation highlights the BlackSanta Company’s colorful roster of Holiday-themed characters, with each character featuring on songs inspired by music greats. The mixtape introduces the world of Black Santa, the patron saint for a new holiday tradition, who speaks with a heart and soul wide open to those overlooked. His mission is to provide blessings and good will to those in need every single day, treating Christmas as a year round event with endless opportunity to give back. BlackSanta’s message is one of inclusion and the belief that all people, regardless of nationality, color, religion, or creed can come together make positive impacts. 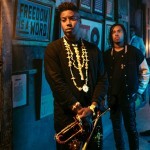 The mixtape was produced by Baron Davis and TITLE 9 Inc., with associate producers Andre ‘Dre’ Harris, Triangle Park Music and DUO, and mastered by Chris Gehringer, Sterling Sound, NY. A&R’s for the project include Carmen Murray, Jennifer Duke, and Michael Michel. Today, the BlackSanta Company shares “All I Want” by Autumn and “4 The Bag” by Fire and Ice across all streaming platforms. Each song takes you on a journey to BlackSanta’s magical realm in the South Pole, where you’ll meet all of his family and friends—from the multi-dimensional, entrepreneurial Mrs. C, to the Holiday Haters, Fire and Ice, who are determined to put a stop to BlackSanta’s mission of good will. The mixtape will be the first venture into a sprawling, magical mythology that will continue and expand onward via storybooks, comics, animations, and a live-action film. For every product BlackSanta sells, a give-back portion follows, where they reinvest in local communities. The BlackSanta Company has sponsored numerous toy drive and gift-wrapping events for neighborhoods in need, donated care packages for foster youth, and partnered with organizations including The Boys and Girls Club and A Fabolous Way Foundation. Like Walt Disney, Baron Davis is creating lanes and paving the way for young talent like Jason Clas, 17, whose bonus track, “Can’t Sleep” will be a highly anticipated feature on the mixtape.